What makes a book ‘unputdownable’? You may be surprised to learn that a strong plot isn’t the only answer. In fact, careful shaping of many different story elements – including setting, characterisation, time frames, story patterns and more – can keep readers riveted and eager to turn the page. This masterclass will explore key techniques for intensifying narrative urgency, and show you how to apply them to increase the tension, momentum and power of your story. 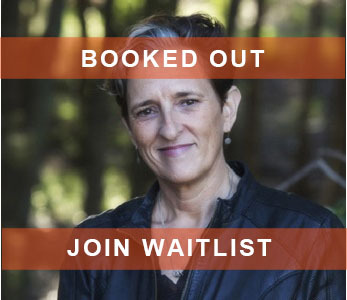 This masterclass is for established writers only, who have had at least one book published by a mainstream publisher, and a substantial project in the early- to mid-stages of development. Exclusive to Writers Victoria members. Charlotte Wood is the author of five novels and two books of non-fiction. ‘The Natural Way of Things’ won the 2016 Stella Prize and Indie Book of the Year, and was joint winner of the Prime Minister's Literary Award for Fiction. The Garret is not a podcast about individual books, nor is it designed to promote a writer's latest publication. It is a series exploring how the best of the best start, draft, complete and market their writing. The Garret was born in Melbourne, a UNESCO City of Literature. And it is supported by our community. Writers Victoria is proud to partner with The Garret, alongside the State Library of Victoria, Readings and Swinburne University.